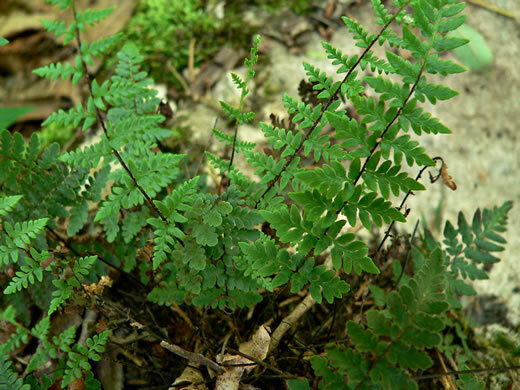 Fronds are evergreen; stipe and rachis are shiny black, per Field Guide to the Ferns and Other Pteridophytes of Georgia. 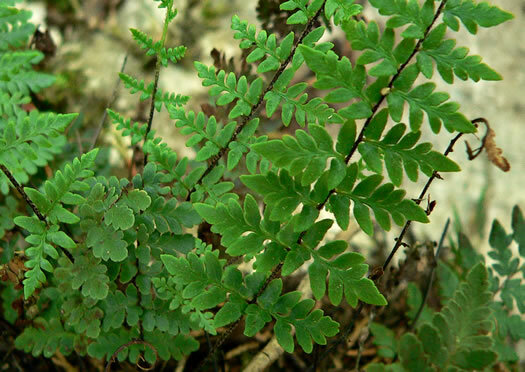 Pinnae mostly alternate, distant, almost sessile. 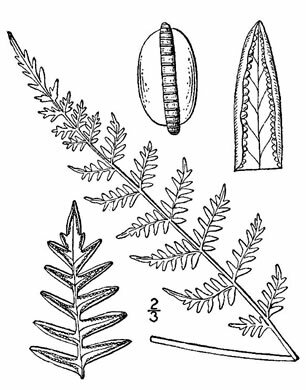 Ovate-lanceolate, per Field Guide to the Ferns and Other Pteridophytes of Georgia.